Alice Federico was born in Selma, Alabama in 1945. 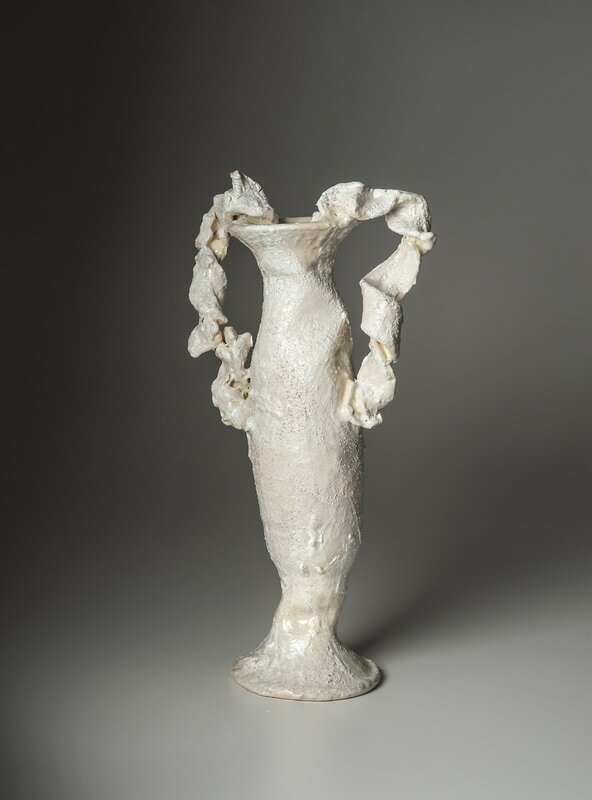 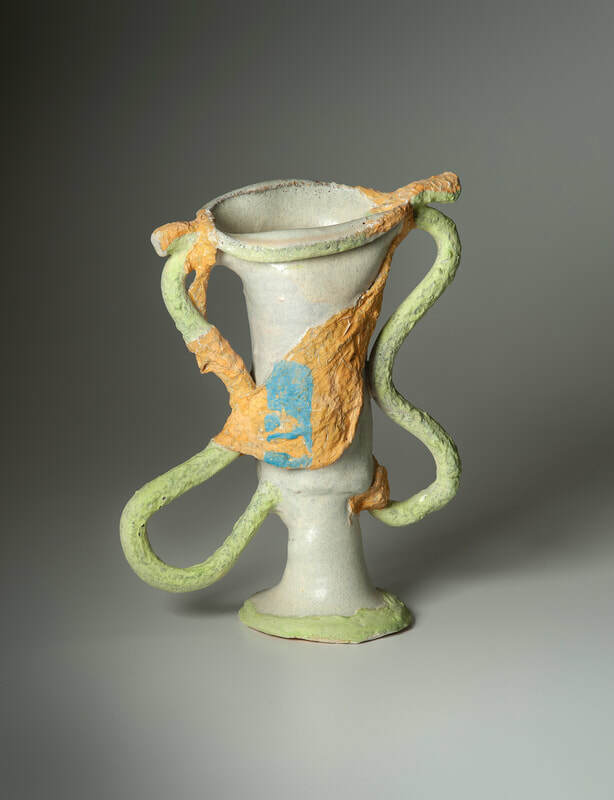 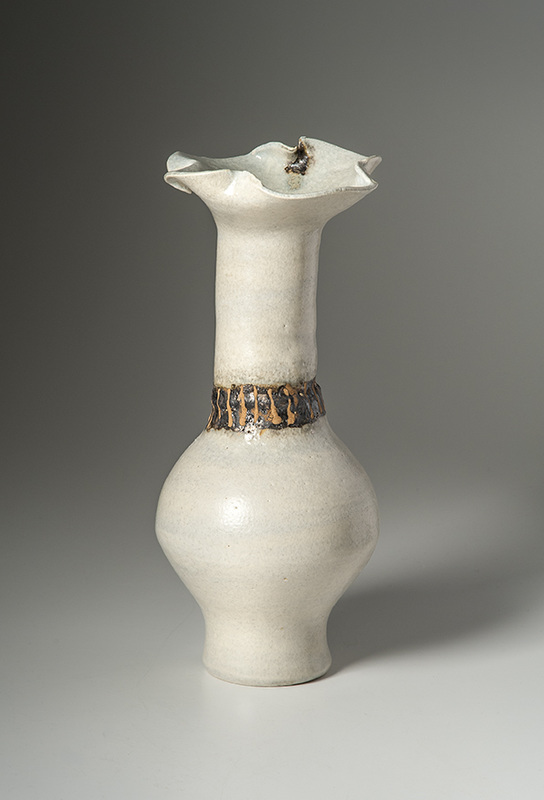 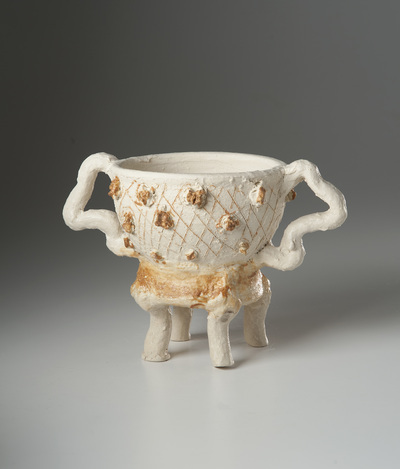 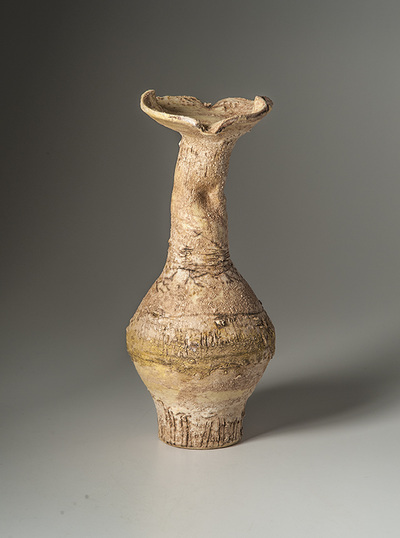 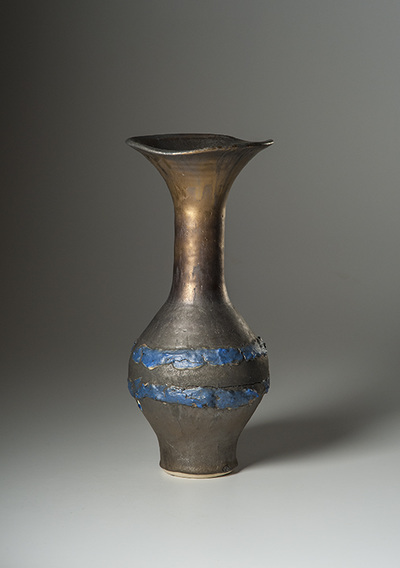 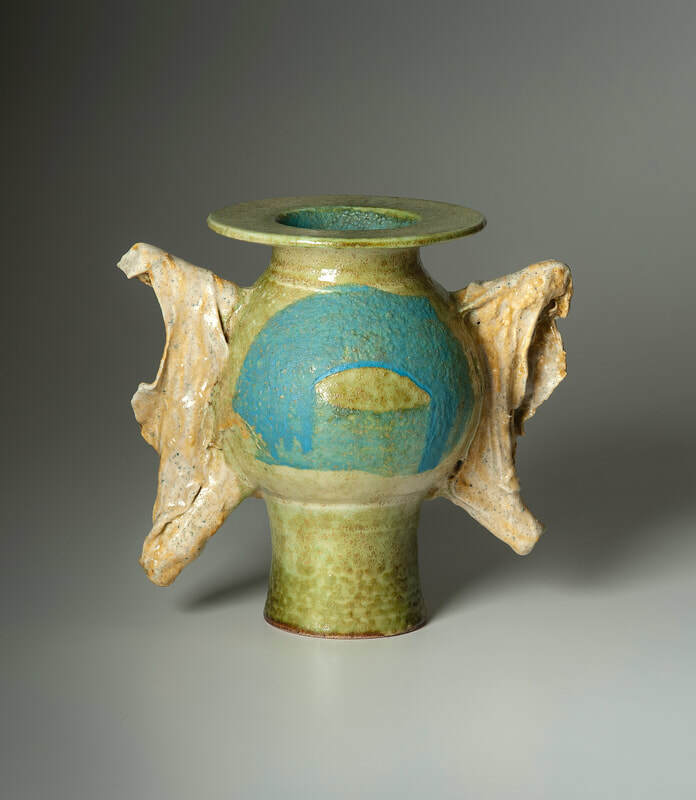 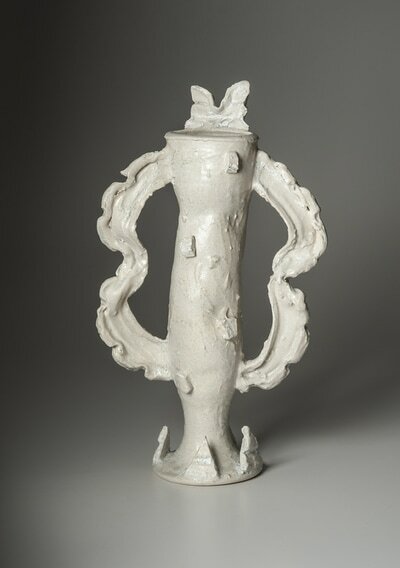 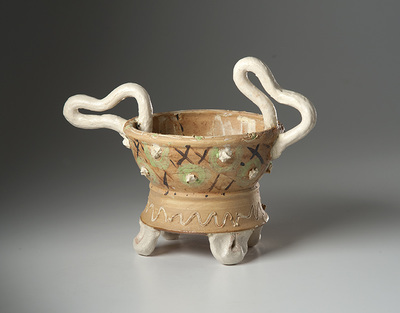 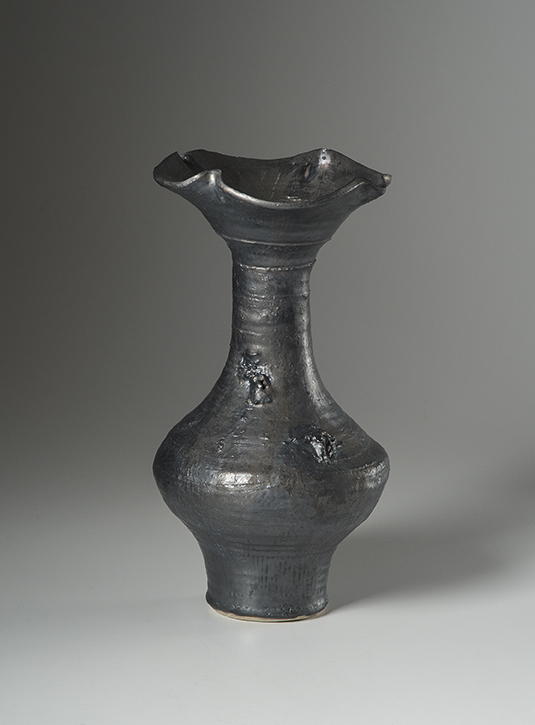 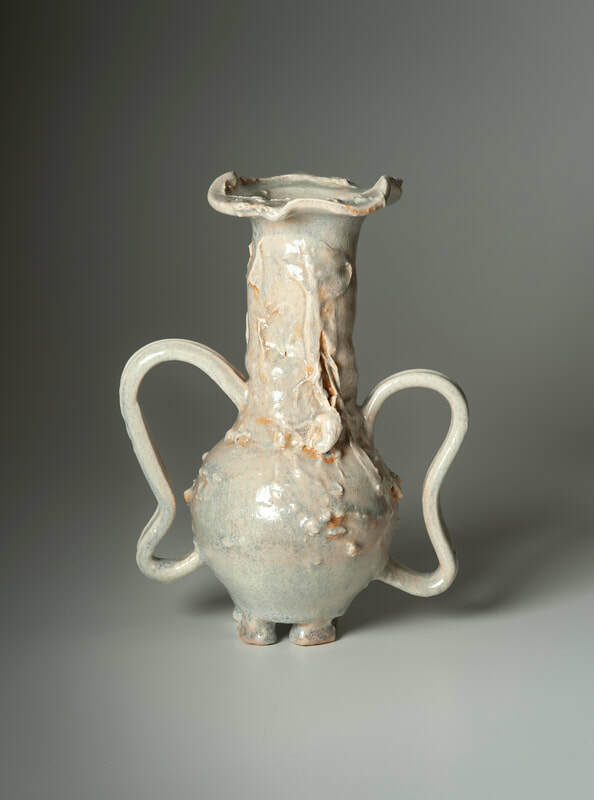 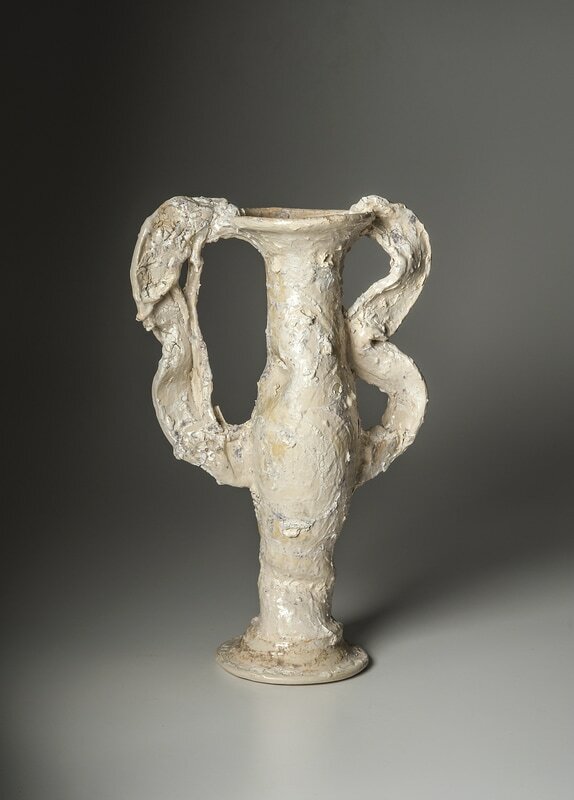 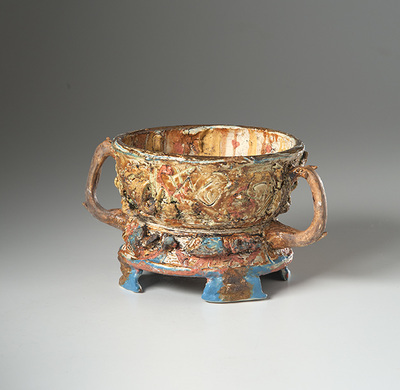 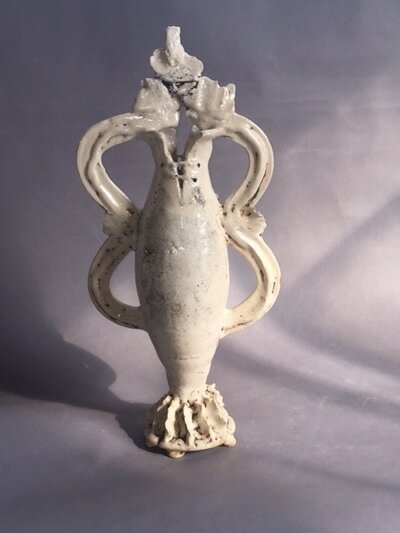 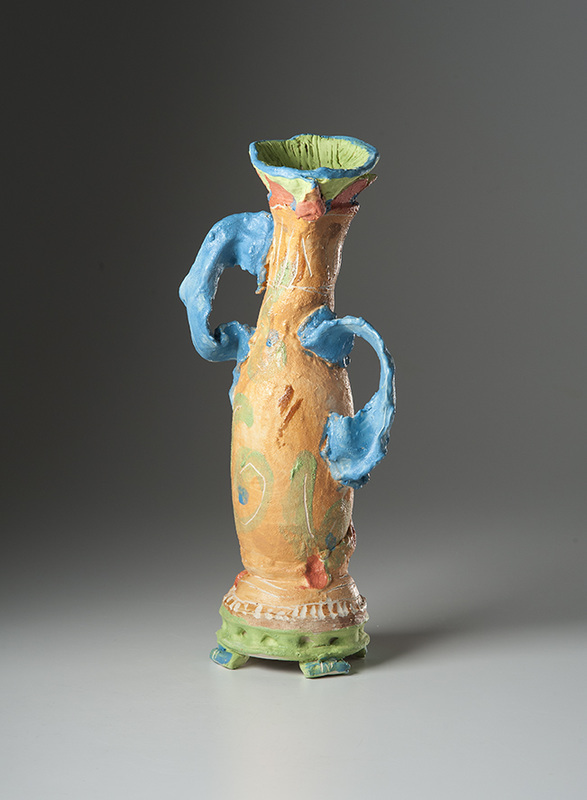 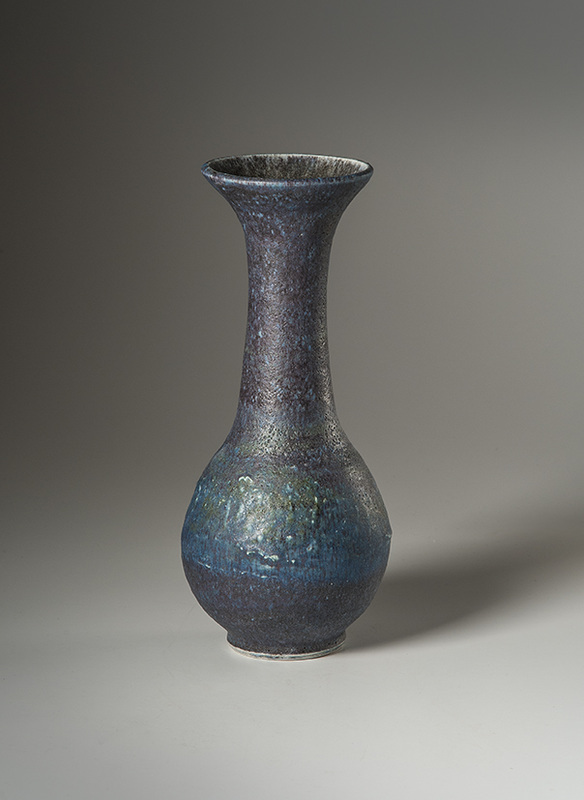 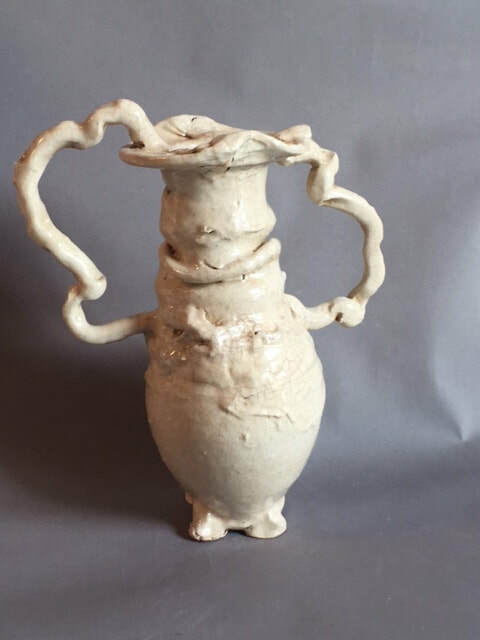 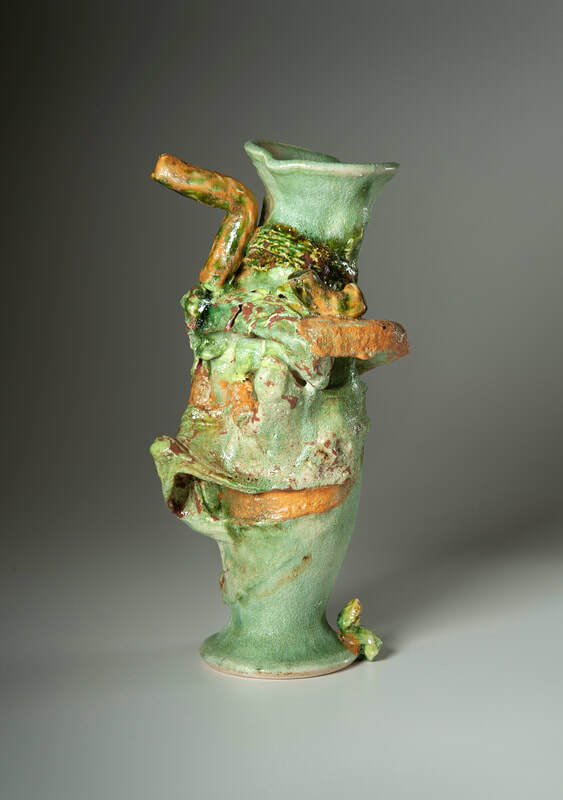 She received a BA degree in history from Hollins University (1967), an MFA in ceramics from East Carolina University (1977), as well as a BFA from Kansas City Art Institute (1983). 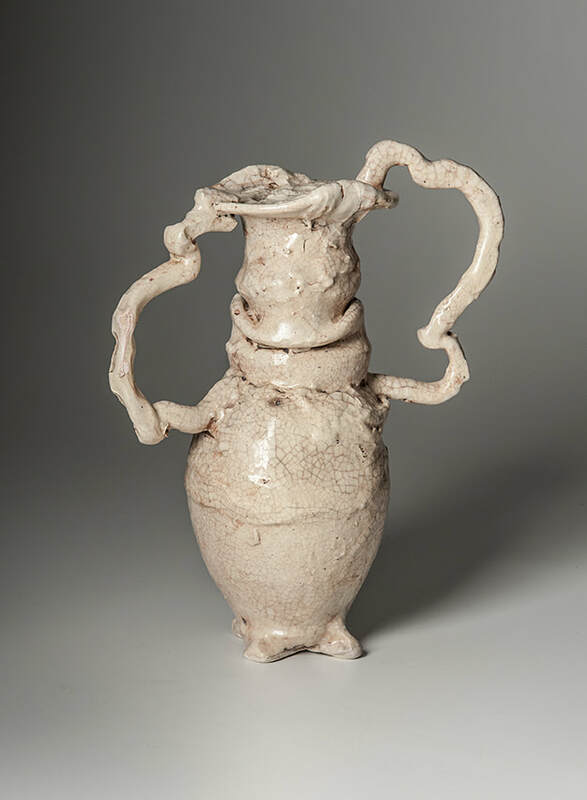 Trained first as an historian, historical pots have always had an influence on her work. 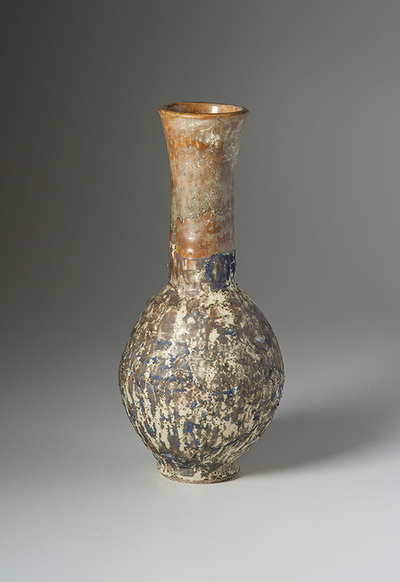 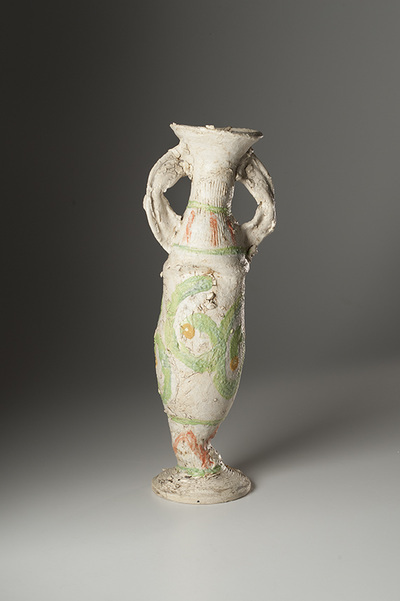 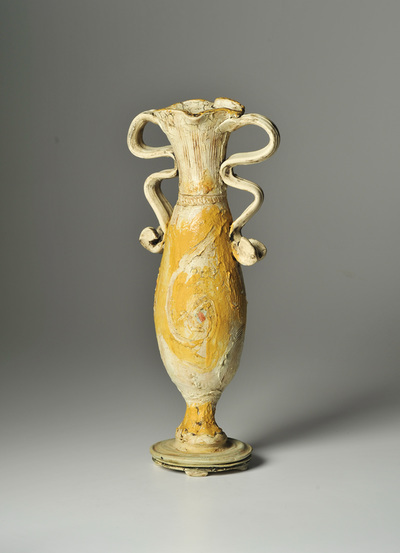 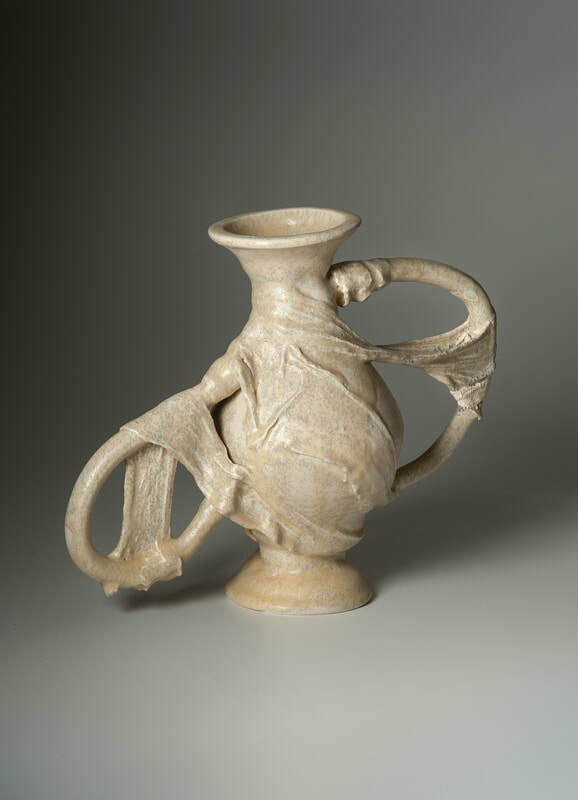 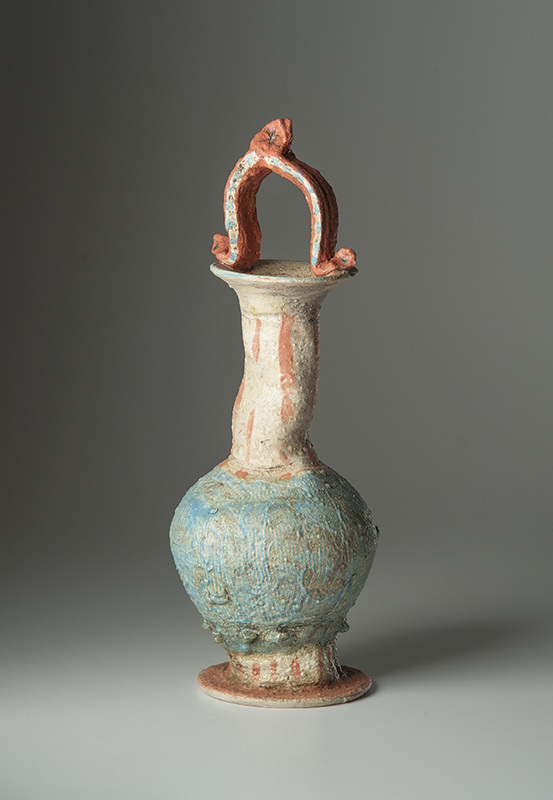 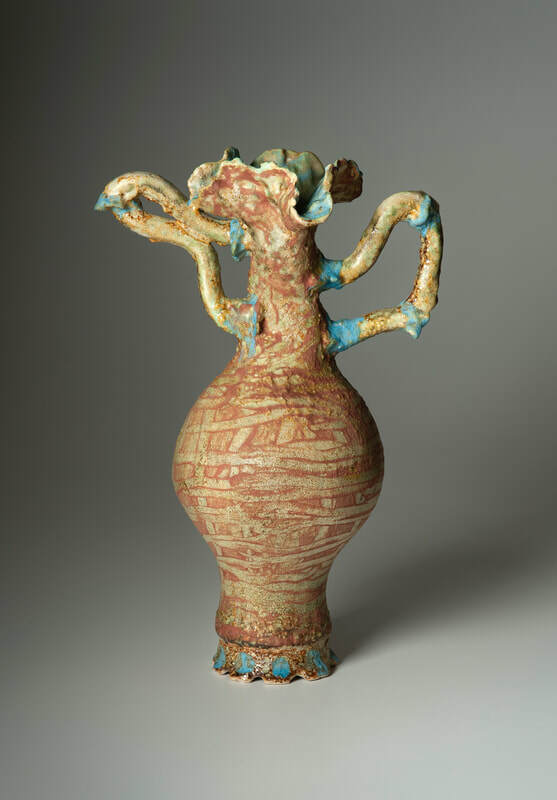 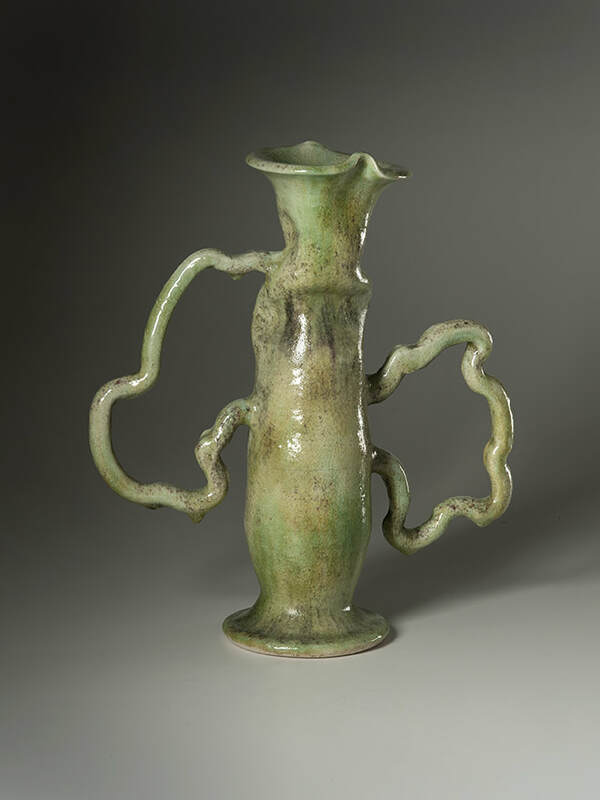 That influence includes Chinese Sung ware, Greek vases, and Italian folk work. But it was researching the crisp forms and simple glazes of English potter Dame Lucie Rie (1902-1990) which gave her hours of pleasure. 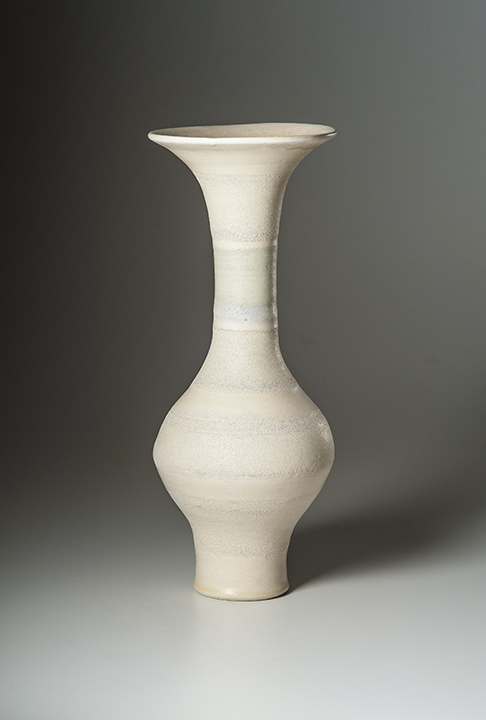 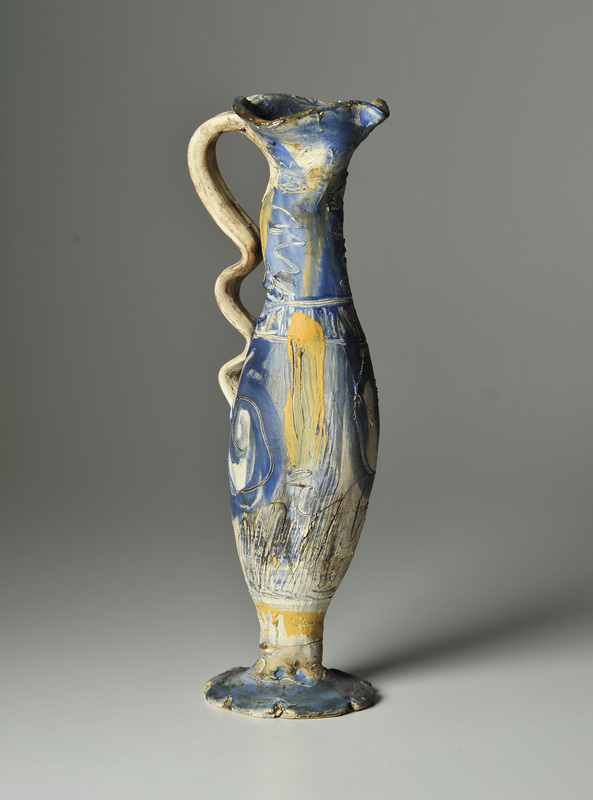 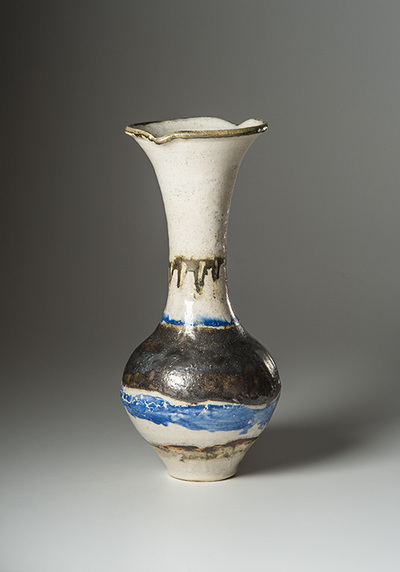 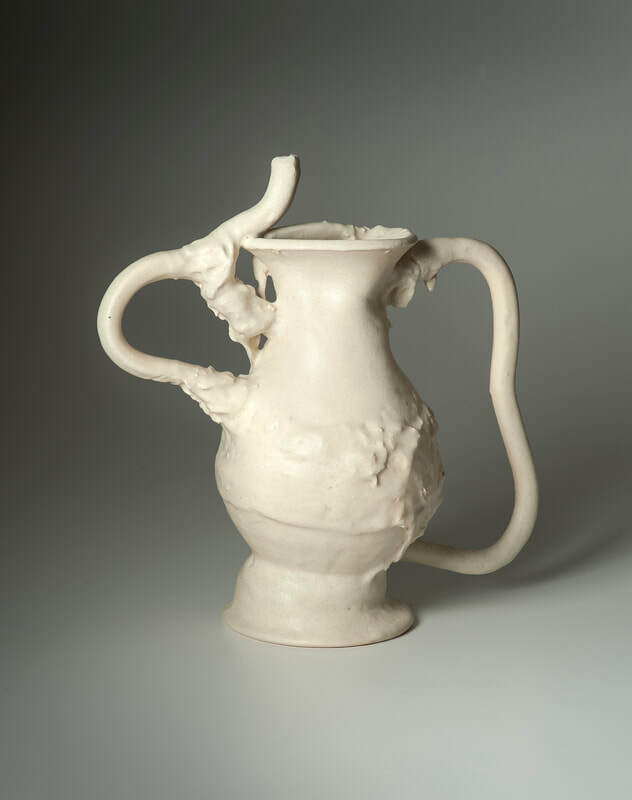 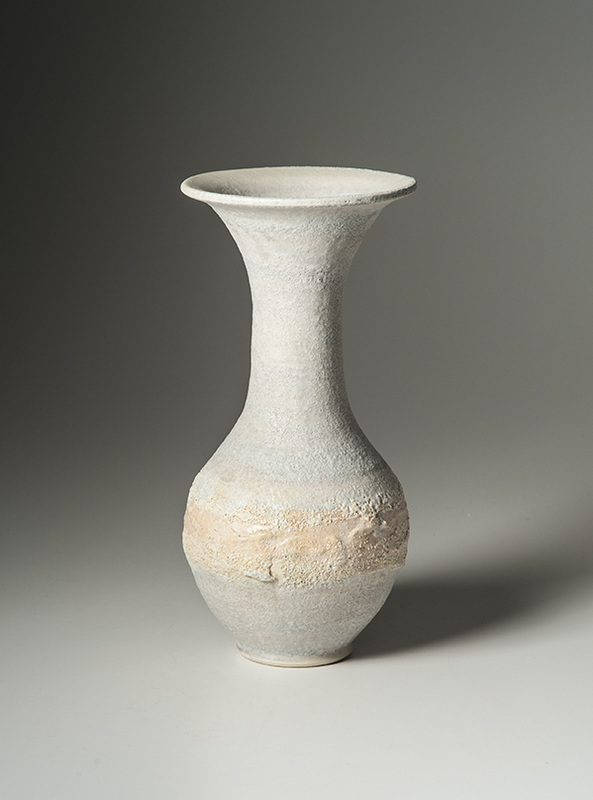 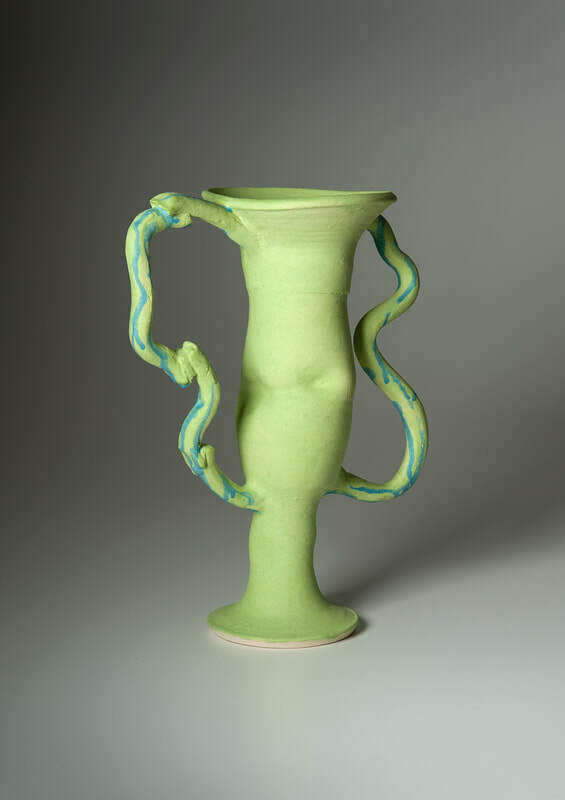 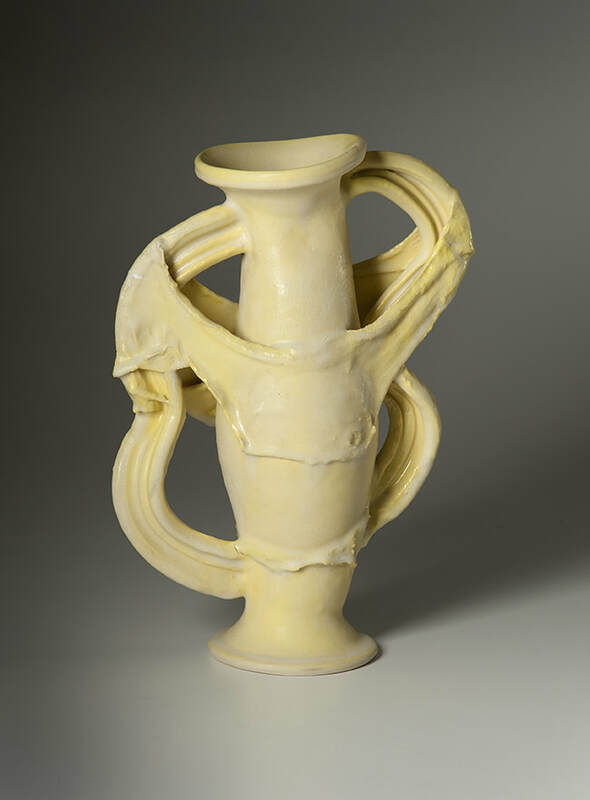 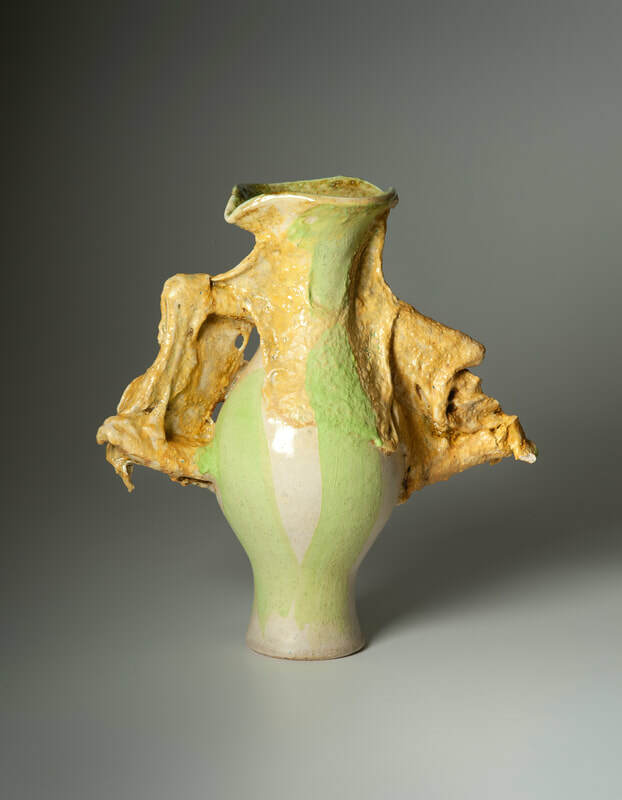 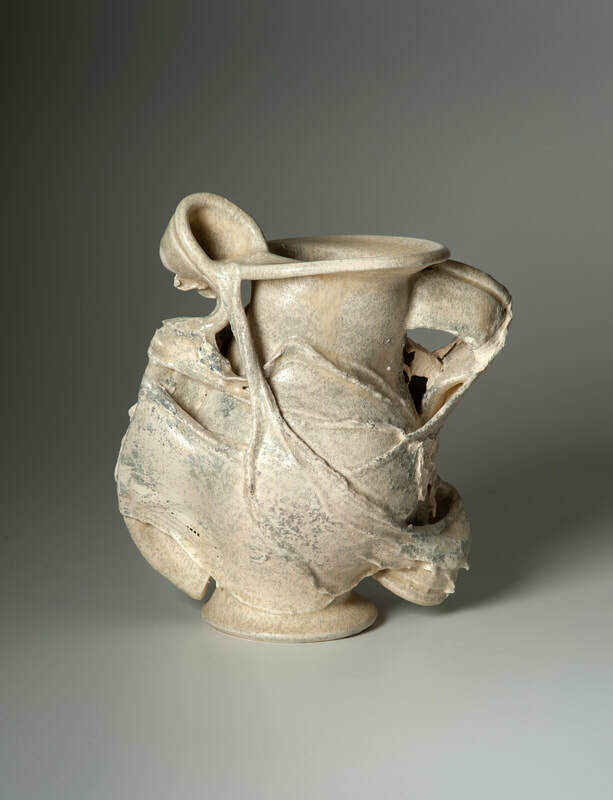 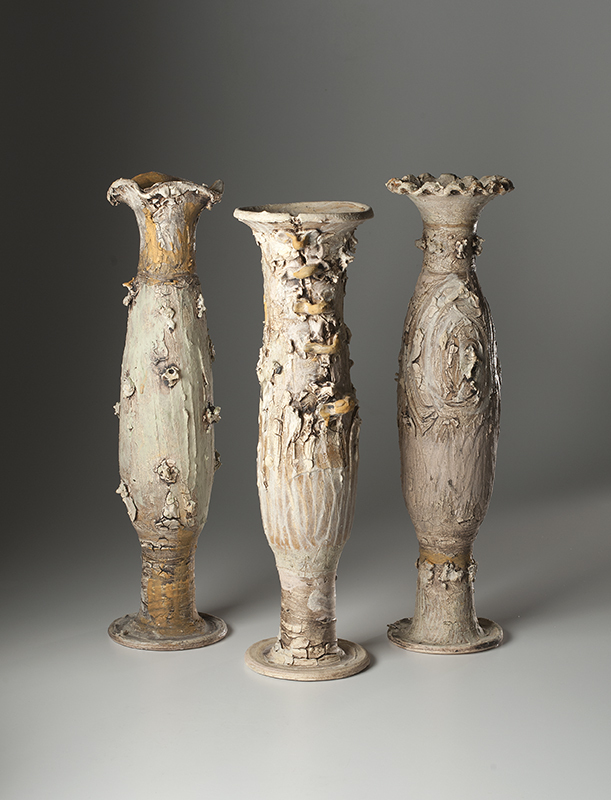 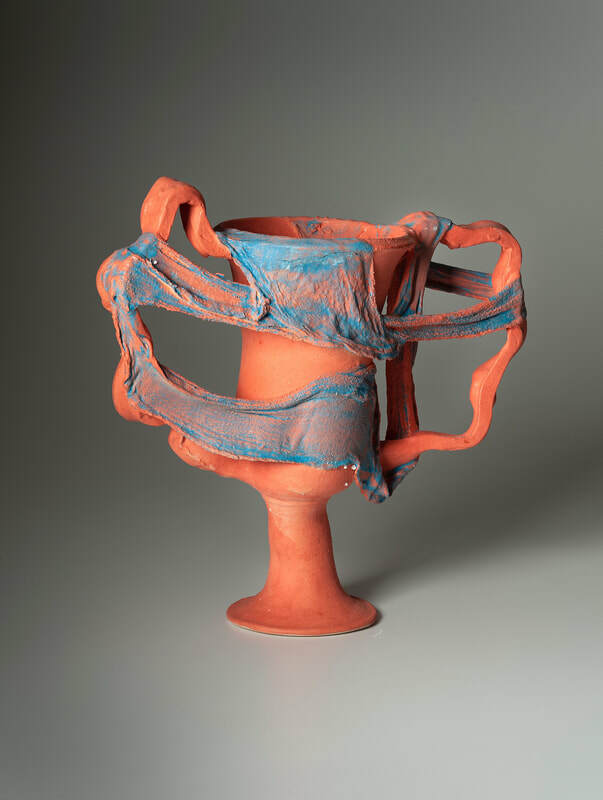 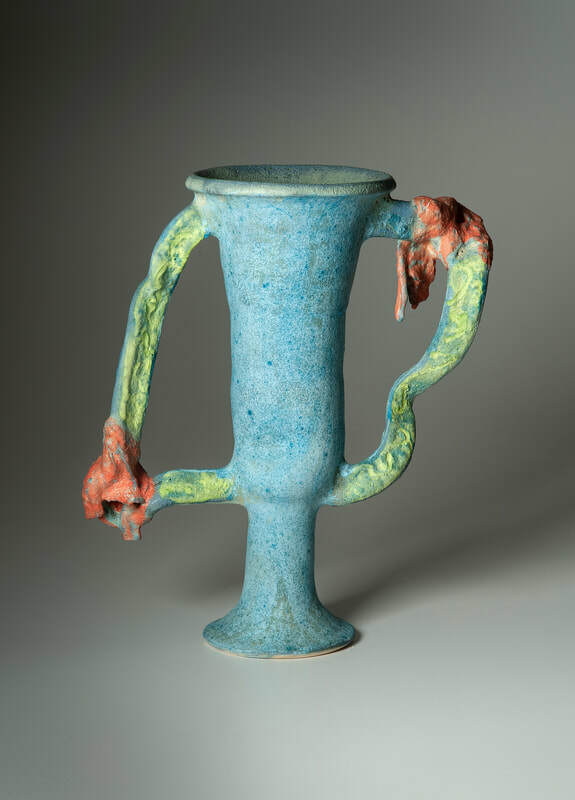 Federico ‘s work is always anchored in the vase form as thrown on the potter’s wheel. Small necks, long shanks, bulbous bellies, are her hallmark. 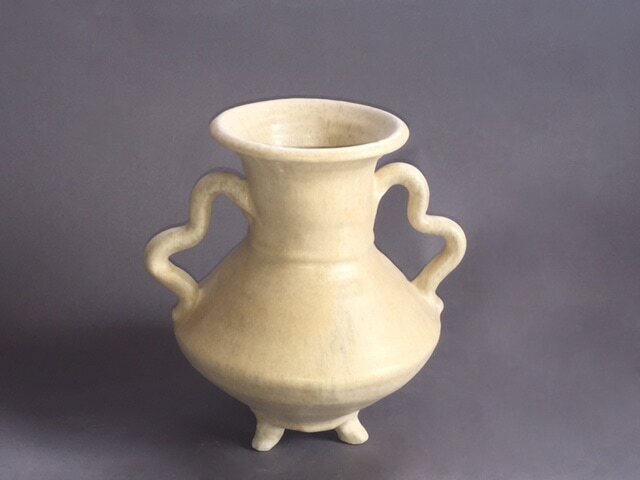 They are derived from historical form. 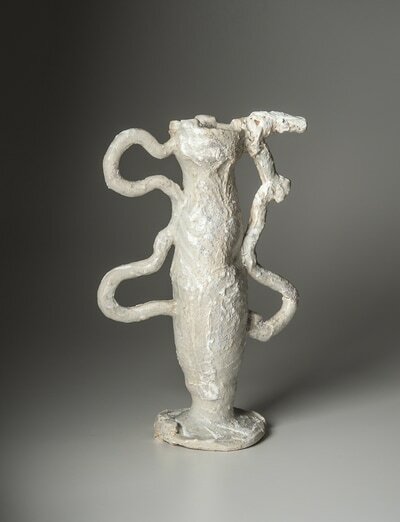 Her surfaces, also, are singular. The dark grainy surfaces of 10 years ago and the bright palate she uses in this exhibit are the result of experimenting with raw materials such as talc, feldspar and dolomite. 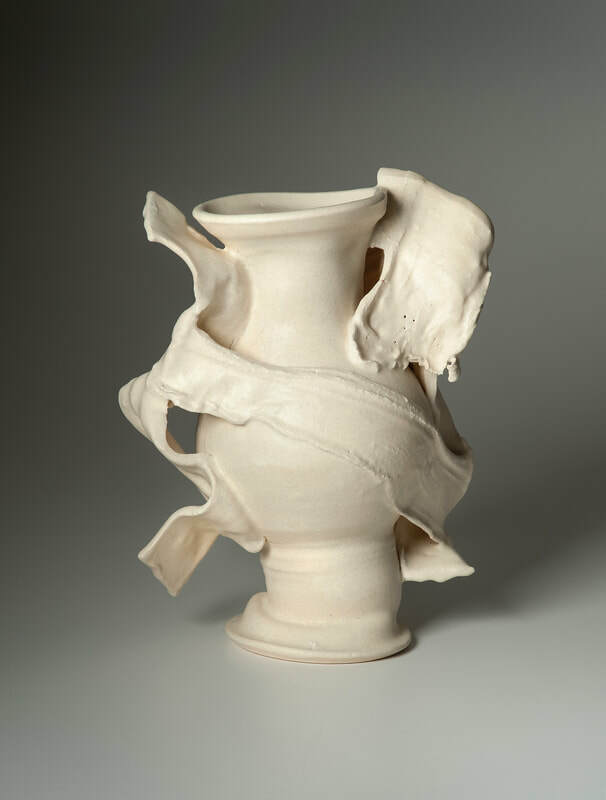 This exhibit is a rebellion. 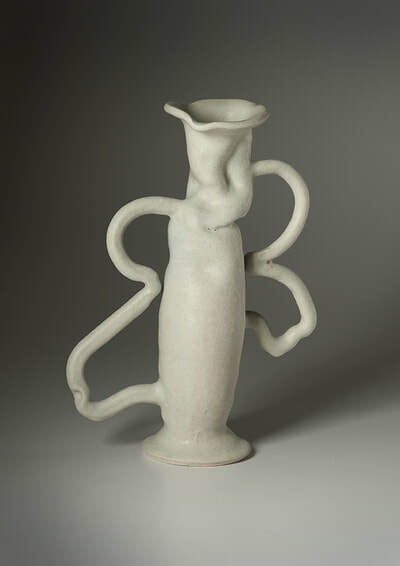 Her forms move and gesture. 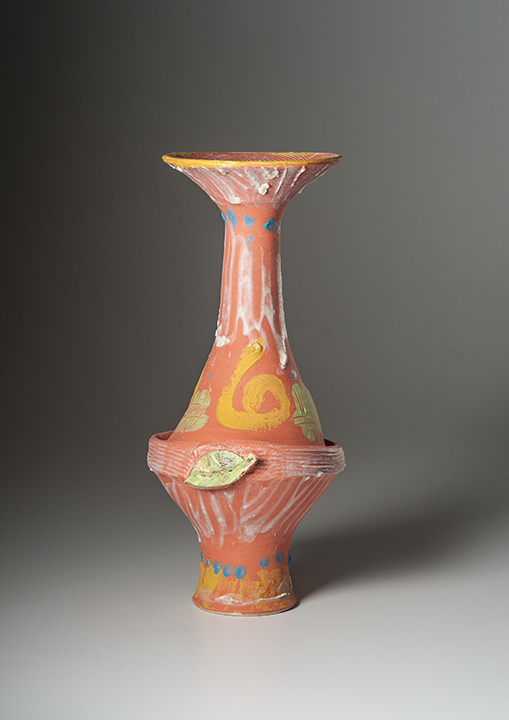 Color is bright and abstract. 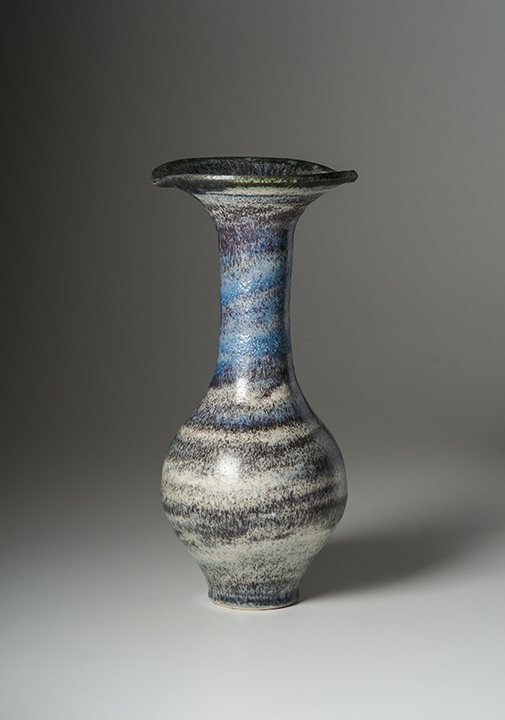 Marks barely recall the patterns of classic vase decoration. 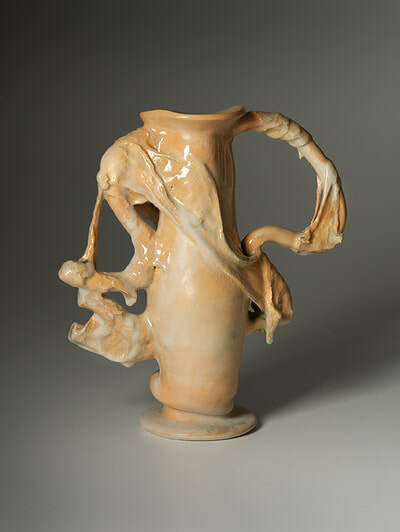 It is as though she is deconstructing the influences she embraced. 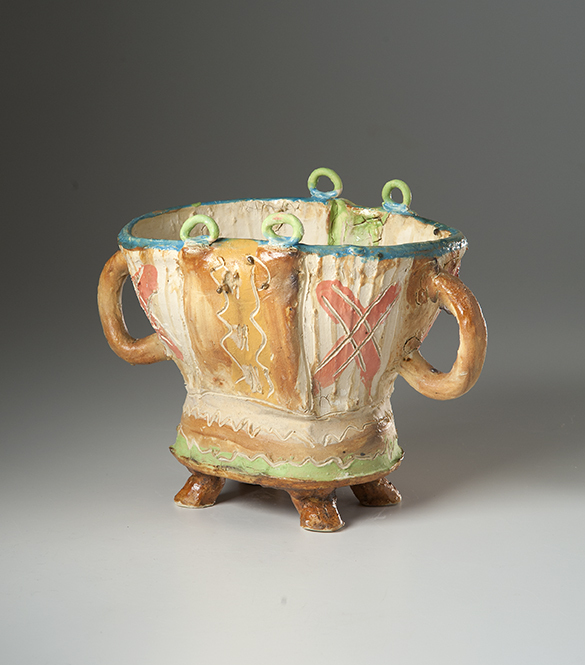 These pots are alive, instilled with both tradition and vigor.